This recipe was inspired by Chef Justin Haifley’s “Pigs Under a Blanket” at Tavern Kitchen + Bar in St. Louis. 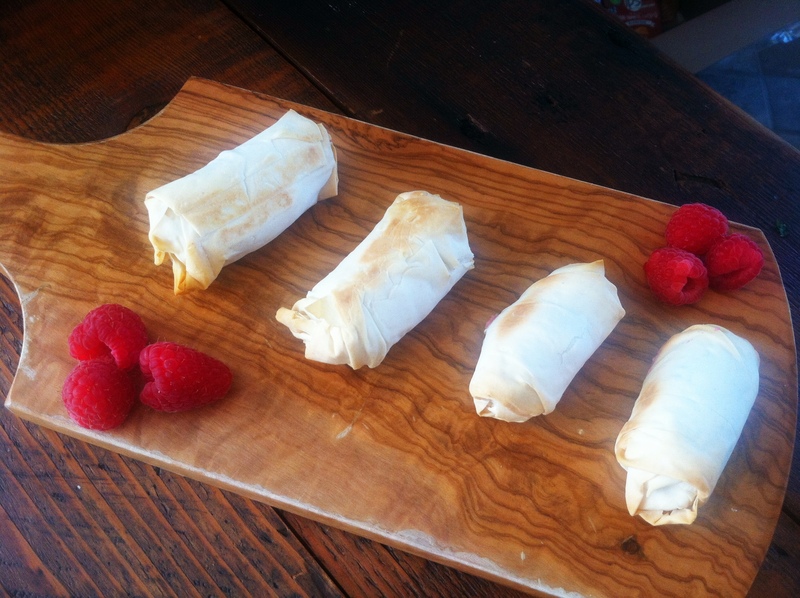 I realized I never work with any sort of pastry dough and have always loved Phyllo dough. 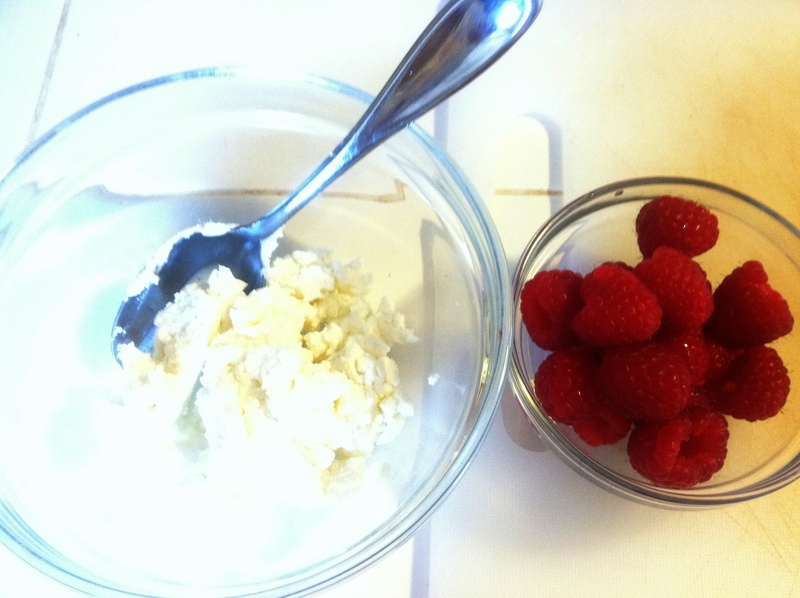 Because my husband is a date fanatic, we typically always have dates and goat cheese in the house, and most recently I’ve been buying fresh raspberries now that they’re in season. 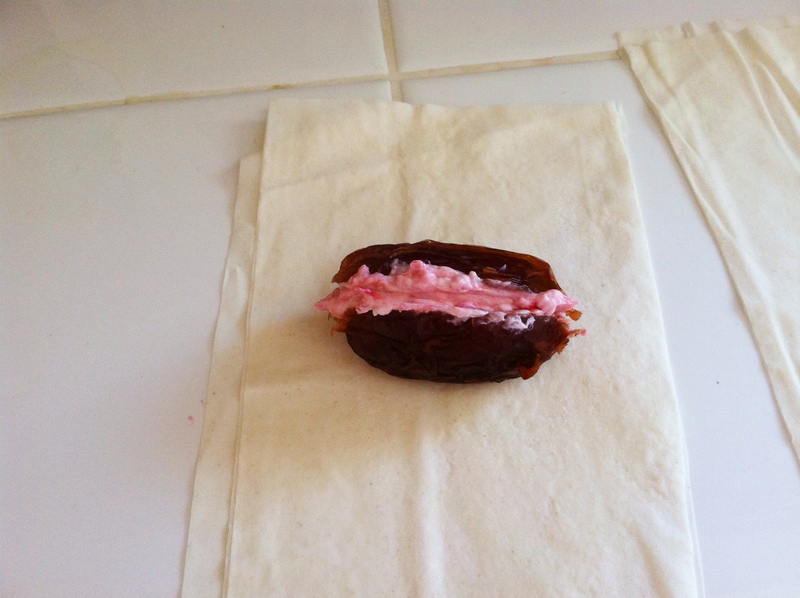 I fooled around and this is what I came up with…and let’s face it, you know you’ve had a good date when you both end up in blankets….am I right? Ha! Pre-Heat oven to 375. 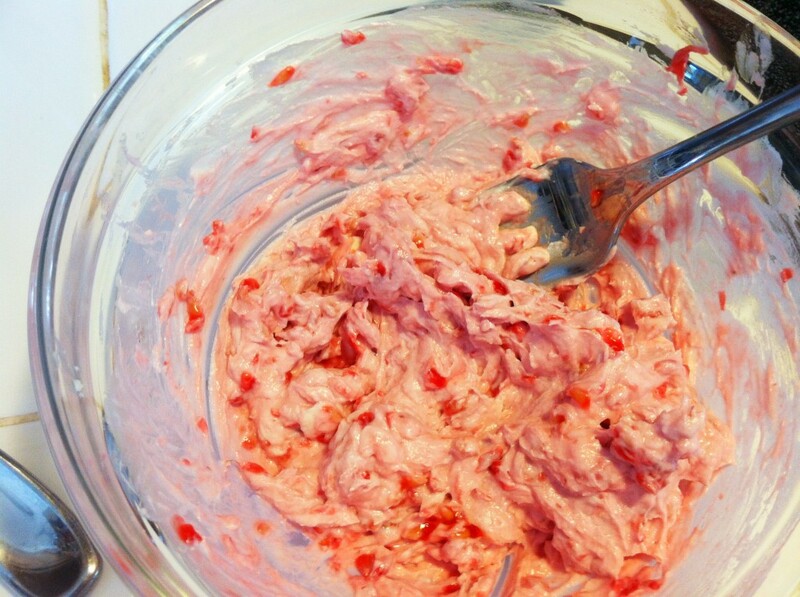 Mix raspberries and goat cheese in a med-size bowl with a fork and mix well. 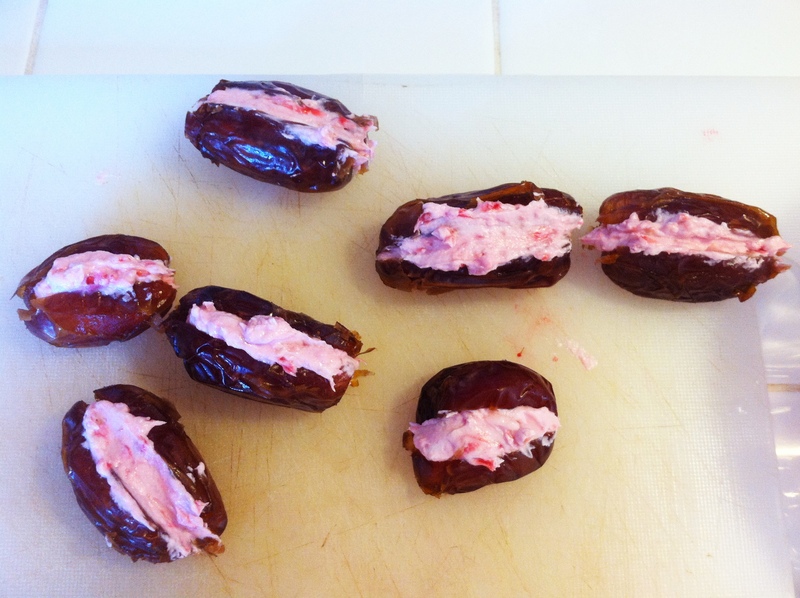 Stuff dates with about 1 tsp of goat cheese mixture per date, making sure not to over stuff. Set aside. 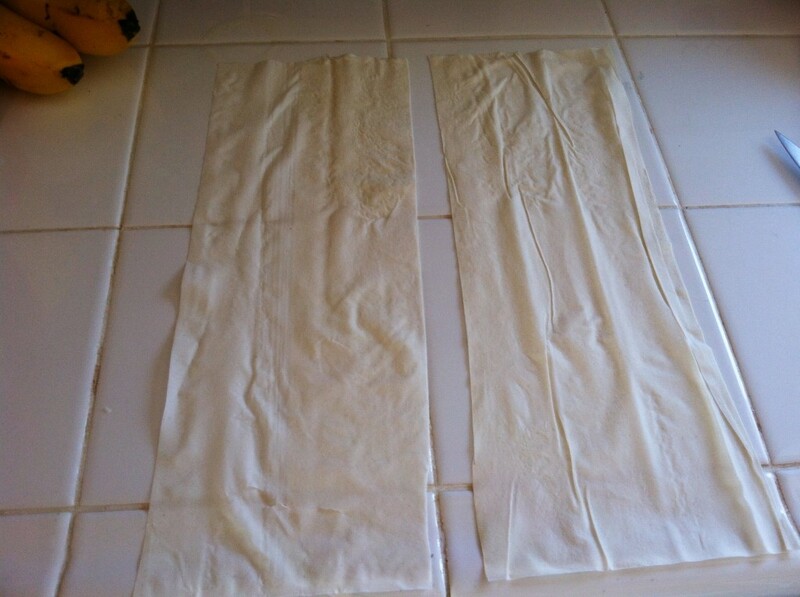 Make sure you have a large enough space to lay out the phyllo dough. 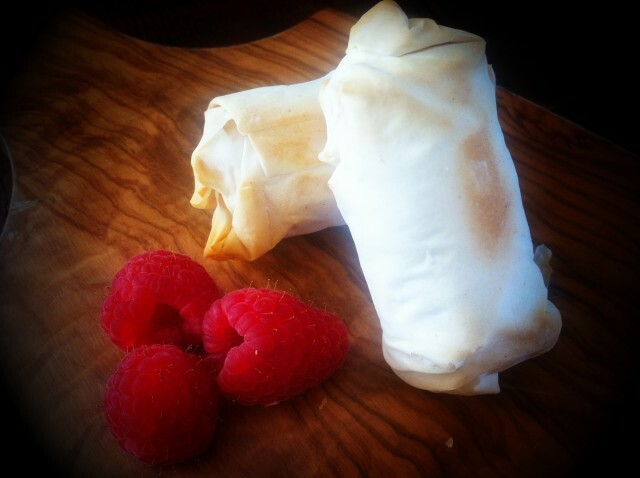 Unroll phyllo dough on a clean dry surface keeping them in a stack. Carefully take 2-3 sheets of dough and layout on cutting board or counter. Cut into 4 pieces lengthwise and another time horizontally. Cover the remaining dough with a piece of wax paper and a damp cloth (this prevents it from drying out). 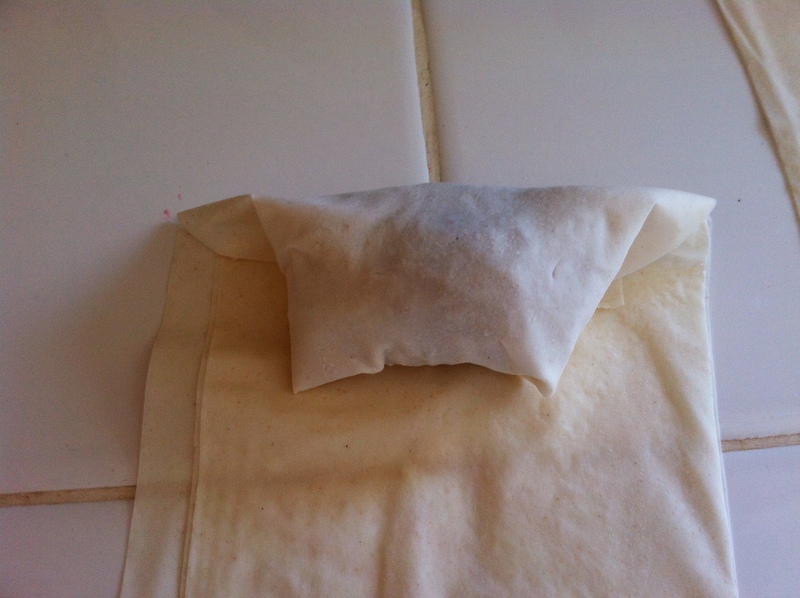 Gently brush a small amount of olive oil on each sheet. Place the stuffed date at the top of the sheet and roll down, folding in the edges. Repeat this 1-2 more times, using 2-3 sheets per date depending on the size of the date. 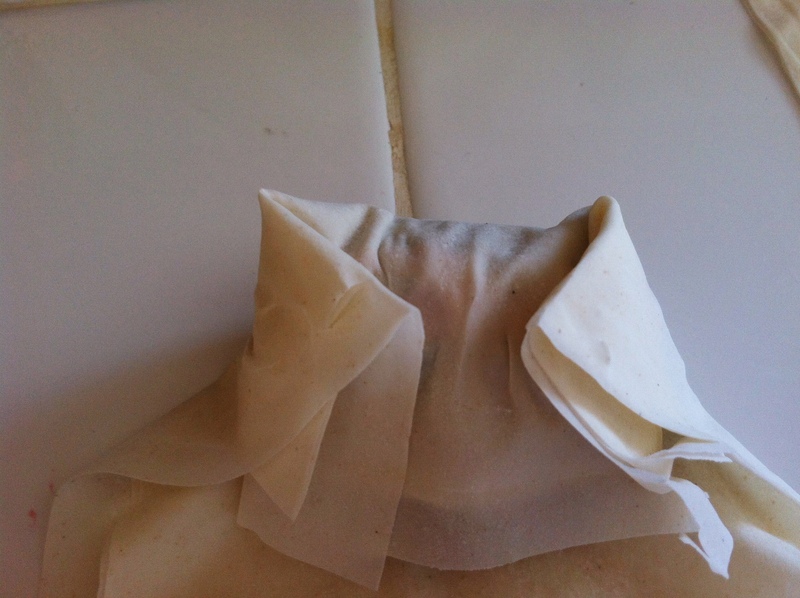 Once you’re close to the bottom, fold in edges like a present and wrap remaining dough around the date. 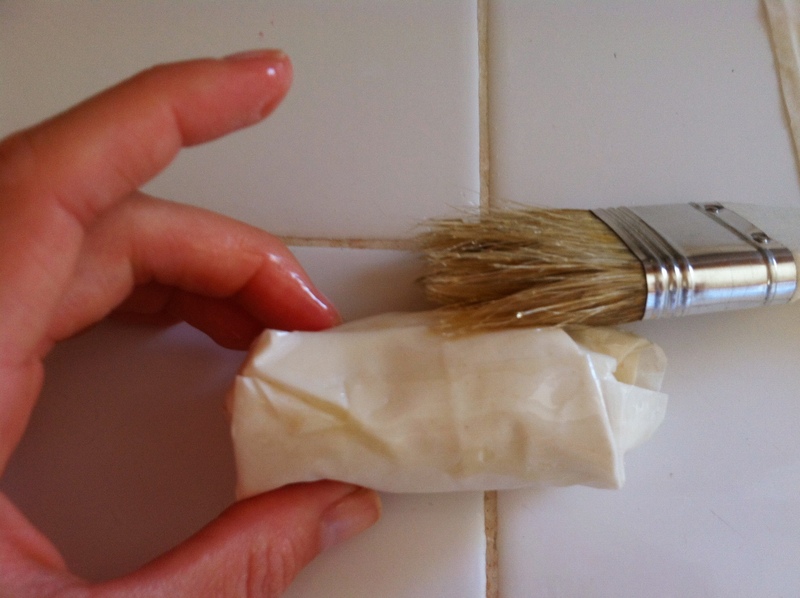 Seal the edges with a little olive oil and lightly brush olive oil on all sides of the wrapped date. Repeat this 4 times. Make sure to tuck in the edges and seal with olive oil. Bake at 375 for 15-20 minutes, or until slightly golden brown on each side (turn over half way through). Let cool for 10 minutes. This is great for an appetizer or dessert! It can be a perfect treat at a baby shower for a little girl because the raspberry-goat cheese mixture turns this beautiful light pink color.